Default Folder X 5.0.7 – Enhances Open and Save dialogs. Default Folder X attaches a toolbar to the right side of the Open and Save dialogs in any OS X-native application. The toolbar gives you fast access to various folders and commands. 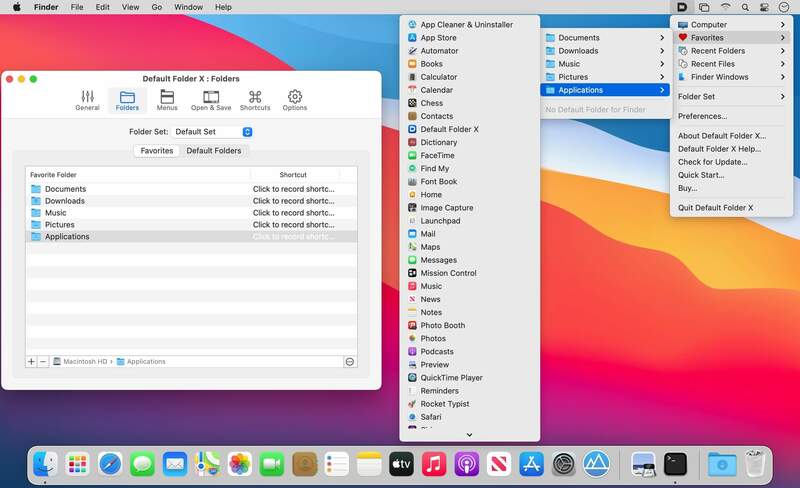 You just click on the buttons to go to your favorite and recently used folders, manage the folders and files shown in the list, and make changes to your settings. It also fixes a number of problems in Open and Save dialogs, “rebounding” to the last selected file, putting the path listing back in the top menu, and correcting bugs in scrolling column views. Directory assistant: You can access the contents of your recent, favorite, and open folders right from Default Folder X’s toolbar. Real time saving: If you’re constantly saving things inside the same folder, Default Folder X can remember that folder for you. Instant Recall: To help you quickly return to folders you’ve recently used, Default Folder X remembers them for you. Spotlight on the spot: Default Folder X lets you add Spotlight keywords, OpenMeta tags, and Finder labels on the spot, while you’re still in the Save dialog. Next story WinX DVD Ripper 4.9.5 – Convert Rip Protected DVD to iPhone iPad iTunes MP4. Previous story DxO OpticsPro for Photos 1.3 – Image enhancement for RAW and JPEG files. TechTool Protogo 4.0.1 – Turn your USB or Firewire device into a bootable, diagnostics toolkit for Mac. Default Folder X 4.5.4 – Enhances Open and Save dialogs with bountiful options.